By targost in News on June 16, 2016 . The Foundation awarded 29 grants totaling $89,610 to non-profit organizations and projects serving Kenosha County residents. The Foundation awarded grants to 19 different non-profit groups; four of these organizations – the Kenosha Achievement Center, the Kenosha Literacy Council, the Shalom Center of the Interfaith Network, and the Sharing Center in Trevor – each received three grant awards. 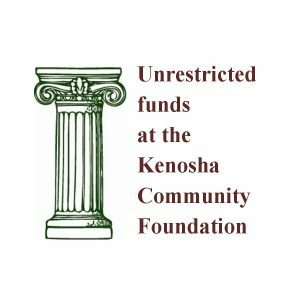 From the Foundation’s pool of unrestricted endowment funds, nine grants went to: Birds of a Feather, the Boys and Girls Club of Kenosha, Habitat for Humanity of Kenosha, the Kenosha Literacy Council, the Kenosha Achievement Center, Salvation Army-Kenosha, the Shalom Center of the Interfaith Network, the Sharing Center in western Kenosha County, and the United Way of Kenosha County’s Volunteer Income Tax Assistance (VITA) program. For more on this year’s grants, visit the Unrestricted funds page. From the LaFave Family Fund (established by the estate of Susann LaFave), seven grants were made to the Bong Naturalist Association, the Girl Scouts of Wisconsin Southeast, the Kenosha Achievement Center, the Kenosha Literacy Council, Kenosha Symphony Association, the Open Wings Learning Center and the Shalom Center. 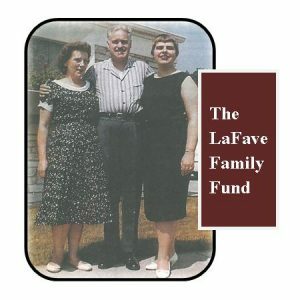 For more on this year’s grants, visit the LaFave Family Fund page. From the Outboard Marine Corporation (OMC) Legacy Funds, three grants targeting youth programs were made to ELCA Urban Outreach Center, the Kenosha Achievement Center, and the Sharing Center. For more on this year’s grants, visit the Outboard Marine Corporation (OMC) Legacy Funds page. From the Foundation’s Women’s Fund, eight grants to programs that benefit women and children to the Girl Scouts of Wisconsin Southeast, Kenosha County Association for Home and Community Education (KCAHCE), the Kenosha Common Markets, Inc., the Kenosha Literacy Council, Lemon Street Gallery and ArtSpace, the Shalom Center, the Sharing Center, and Women and Children’s Horizon. For more on this year’s grants, visit the Women’s Fund page. From the Foundation’s Arts Fund, grants were made to the Get Behind the Arts Studio Tour and the Kenosha Chamber Choir. For more on this year’s grants, visit the Arts Fund page (www.kenoshaartsfund.org).